The executive is the organ that exercises authorityin and holds responsibilityfor the governance of a state.The executive executes and enforces law.Generally it consists of the councils of ministers, head of the state, head of the government. Executive makes programmes and policies and executes the law of passed by legislature. 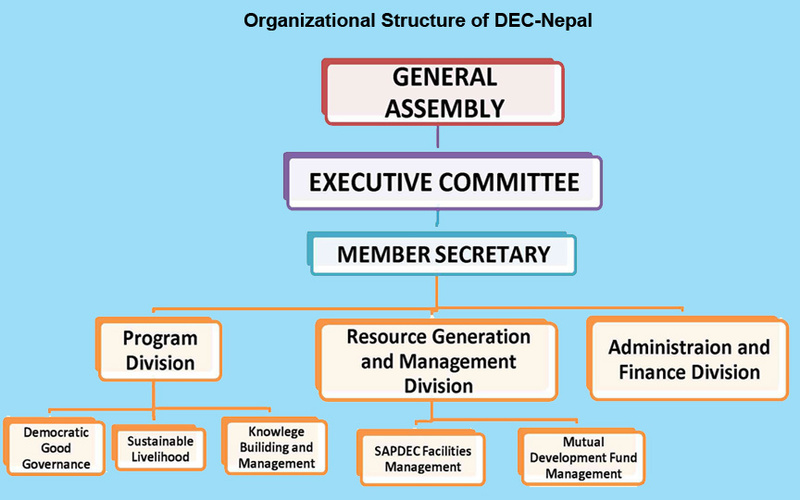 The executive work of Nepal are carried out in the government of Nepal. In a broader sense, executive includes the law of the country that are empowered to implement by all the government employees. Executive directs, controls and conducts administration of the government. It works through the bureaucracy consisting of all from the secretary of the ministries to the peon of a VDC office. 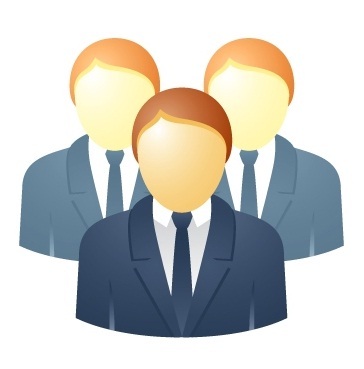 In modern times, the importance of the executive has increased day by day. Before, the function of the executive was to maintain peace and order and mobilize revenue only. But now, the executive has to work for the all-round development of the nation apart from maintaining peace and order in the country. To maintain the law and order and protect the country from foreign invasion. To impose taxes and run various development works. To sign treaties and make good diplomatic relations, depute ambassadors to the foregin countries. To run the adminstration of the country efficiently and provide basic service to the people. To present budget in the parilament and operate it after the approval of the parilament. To table the draft bill in the parliament for appropriate law. To postpone the session of the parliament. Executive is an important organ of the government that is responsible for putting the laws and order into effects. It is also known as Council of Ministers or cabinet or government. The executive is the organ of the government that carries out the decisions and order of the parliament. Apart from maintaining peace and order in the country, the executive has to work for the all-round development of the nation. What are the functions of an executive? Administration: All important decisions concerning administration are carried out by the chief executive i.e. Prime Minister on the recommendation of the council of ministers. Diplomatic: executive exercises power regarding various kinds of treaties, declare war, makes peace etc. Financial: After final approval, the budget is put into force by the executive. Legislative: An executive has some legislative work like making by-laws, rules and regulation, to order for fresh election etc. Judicial: To appoint judges and maintain law and order in the country. What is meant by an executive? Write the structure of present government. An executive is an organ of government which implements the law into practice. Nepal has a collation government. It is made under the leadership of Maoist. However, it is not the national government. The ministers are selected only from the collation parties. The largest numbers of ministers are of Maoist, the second highest number of ministers is that of Nepal Communist Party (UML) followed by the Madhesi People's right forum. The rest of the ministers is occupied by other parties. NCP (UML) secures the second rank in the council of ministers i.e. the deputy Prime Ministership is occupied by the party. An executive is the second important organ of government. Why? Write in brief. Yes, an executive is the second important organ of government. During the recent years, for various reasons, the importance of the executive has increased tremendously. In other word of Prof. Barker, "if the growth of the legislative organ was the notable feature of the 18th century, it may be said that the growth of the executive was only to maintain the legal system and collect the tax from the people in country. It controlled, directed and governed the state according to the constitution and other subordinate law. Modern democratic state refers to the state of people's welfare. In addition to maintaining peace and good governance, the government of a state must be responsible for each sector of development. Executive, in the name of government, must provide people with food, shelter, clothes, education, health, employment and security. Prepare a list of six main function of an executive. The six main functions of an executive are as follows. How is the council of ministers formed in our country? The constitution of our country has given the legislature a very important responsibility. The council of the minister is led by prime Minister, who exercises excessive power and is called the 'head of government'. But the cabinet is made responsible to the legislature. The election is held by parliament for the duration of 5 years. The political party which wins the majority or the highest numbers of seats normally forms the government. It elects a leader of its party who is appointed as the prime minister. He has to take the oath of the president. The prime minister further forms the minister in different ministries. Why have powers and the functions of executive remarkably increased? All the organs of the government are independent but closely interlinked with each other. We apparently know that the executive is responsible to the legislature and the cabinet is originating from legislature's status of the political parties. But it's an unalienable fact that the executive exercises greater power and functions that any other organs at the later days. It's getting stronger in the recent days. It holds greater numbers of authorities, power. This has given charm, country and executive works are largely borne by it. It is obviously felt that the persons in the cabinet normally have to be more efficient in leadership, diplomacy, tactful issues, boldness, etc. The presence of these people brings significance to the executive body. They are widely concerned and linked with the national and international issues and to the people. It adds personal dignity. Write about the structure and functions of the present government of Nepal. We are a transitionary period at present. We have changed the status of our political system. We are legally guided by the interim constitution-2063 according to which election of the constituent Assembly was held in 2064 BS. It has got 601 members. But the election gave no solid majority to any political parties. The dirty game of deception and instability has pulled down the Maoist let first government after the election. At present, there is the UML led government. Basically, whatever government structure gets changed, this has main responsibility to make environment for the formation simultaneously, and the running of day to day administration to bring systematic approach is the role of this government with lots of challenges. The organ of the government that carries out the decisions and order of the parliament is ______. The first president of Nepal is ______. Vice President of Nepal is ______. Executive is also known as ______. Which one of them is not the function of the executive? Who is the prime minister and ministers accountable to? Can a non member of federal parliament be a minister? What is the condition required? To I exexutive body formed according to the constitution of nepal 2072 B.s. Any Questions on 'Executive '?